Being that many prominent mountains are located within state and national forests, it is no surprise that many ski areas are located on public land. The vast majority of these ski areas are operated by private groups with state or federal lease agreements. While restrictions on real estate development are a limitation to operating a ski area on public land, the overall land cost can be an advantage, as the operators don't have to purchase the land or pay property taxes on it. Private operators may, on the other hand, be required to pay property taxes on their lifts and buildings. 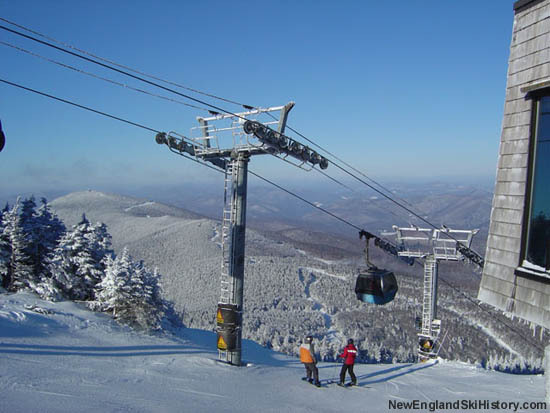 Some ski areas, such as Attitash, have many of their buildings and lifts located on private property. Others, such as Wildcat, are completely located on public property. Lease payment calculations vary depending upon the ski area and the government entity. Some are fixed annual rates, while others are determined by gross revenue and/or skier usage.